It is 2014 So Why are Microwave Ovens Still In Use? It is 2014 So Why are Microwave Ovens Still In Use? Most of us believe that our government will inform us of the harmful or negative side effects of products on the market. I am afraid this is not the case most of the time and today I want to discuss the negatives of microwave use. Did you know that microwaves are a form of electromagnetic energy and that they occupy a part of the electromagnetic spectrum of energy? Did you know that these microwaves are used to relay telephone signals, TV programs and computer information as far as to a satellite in space? We do not think of this when we use the conventional microwave which is most familiar to us as an energy source for food preparation. The microwave contains a magnetron, a tube which produces micro wavelength radiation at approximately 250 MHz and it is this microwave radiation that interacts with food molecules. From our basic physics class that we hated to take in our younger years, we learned that all wave energy changes polarity from positive to negative with every cycle of the wave. 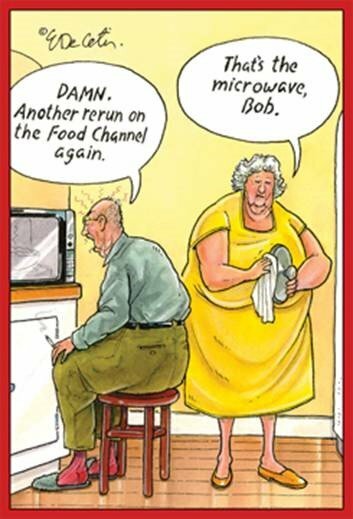 Well this is what is happening with microwave ovens, these polarity changes happen millions of times per second. The microwave oven has a power input of about 1000 watts of alternating current. As the food is bombarded with the molecules emitted from the magnetron, they cause the food molecules to rotate at the same frequency millions of times per second, denaturing the food and robbing it of all nutrients. There are no officially released government studies that prove current microwave usage too be harmful. As medical researchers and Nature-O-Paths, we know that the validity of studies can be deliberately limiting. One case in point is back in the 1960’s, eggs were proven to be harmful to our health and this brought about more of the processed food as the imitation egg products which yielded big profits for the manufacturer and the egg farmer went broke. Today, if you have noticed, there are recent sponsored government studies saying that eggs are not bad for us. So who should we believe? The decision lies with us, the consumer, as to whether or not you choose to prepare food heated by a microwave oven or even purchase one in the first place. That being said, this blog is intended to share with the public the same powerful information that we at Aging Younger Anti-Aging Clinic, in Tamarac, Florida empower our clients with. Now here is an interesting story that I am sure most are unaware of. The year was 1991 and there was a lawsuit in Oklahoma concerning the death of patient Norma Levitt. This woman died from a simple blood transfusion, and not from the blood being tainted with a virus. The story is that the nurse warmed the blood in a microwave oven prior to the transfusion. This tragic death makes it apparent that there is so much we do not know about regarding the pitfalls of “heating” with a microwave than we have been led to believe. Yes, blood for transfusions is routinely warmed, but should not be warmed in a microwave. In the case of this patient, the microwaving of the blood altered the constituency of the blood. In 1989, Young Families, the Minnesota Extension Service of the University of Minnesota published the following: “Although microwaves heat food quickly, they are not recommended for heating a baby’s bottle. The bottle may seem cool to the touch, but the liquid inside may become extremely hot and could burn the baby’s mouth and throat.” Additionally, slight changes can occur to the constituency of the mil and infant formulas. Since the inception of Aging Younger Anti-Aging Clinic in Tamarac, Florida, we have applied what we researched in natural health and wellness to our own bodies and guess what?-health situations have always had a positive result. We always provide our clients the science as to why results can be imminent to our clients, to assist them in making their own health choices. We can very happily report that they too are making their own body’s become disease free. Health is a Choice and if you choose health then the professionals at Aging Younger Anti-Aging Clinic in Tamarac, Florida can guide you on your journey to optimal health. Remember, the body has an innate ability to heal itself and it is not against the law and the FDA regulations for you to treat and cure yourself. The choice is yours to make. We are here waiting to assist you.